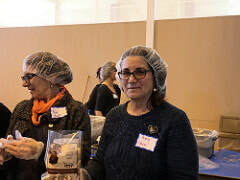 Join us again this year to pack 15,000 nutritious meals for the Merrimack Valley Food Bank at a time of year when supplies are low. 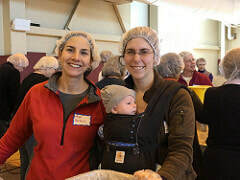 One-hour shifts from 10am-4pm working side-by-side with our interfaith coalition of congregations and community organizations from around the Merrimack Valley. Through a collaboration with The Outreach Program we plan to raise $3,750 to package 15,000 meals for our neighbors in the Merrimack Valley. All meals will be packaged on Wednesday, February 6, 2019 from 11:00 a.m. to 3:00 p.m., with shifts for setup and cleanup as well. This event is open to any individual, congregation, or community - religious or nonreligious - interested in participating. Click here to sign up for a shift on February 6. Meals are packed by assembly lines in one-hour shifts. Intentional opportunities to meet people of other faiths and traditions are part of this experience. ​There will be dialogue and reflection to deepen the meaning of the day. 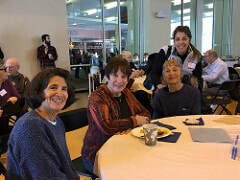 Temple Emanu-El Members at the 2017 Feed Your Neighbor Event.